We examine changes in health insurance coverage and access to and utilization of health care before and after the national implementation of the Patient Protection and Affordable Care Act (ACA) among the U.S. adult immigrant population. Data from the 2011–2016 National Health Interview Survey are used to compare adult respondents in 2011–2013 (before the ACA implementation) and 2014–2016 (after the ACA implementation). Multivariable logistic regression analyses are used to compare changes over time. 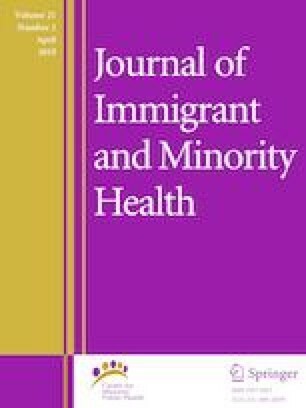 This study shows that the ACA has closed the coverage gap that previously existed between U.S. citizens and non-citizen immigrants. We find that naturalized citizens, non-citizens with more than 5 years of U.S. residency, and non-citizens with 5 years or less of U.S. residency reduced their probability of being uninsured by 5.81, 9.13, and 8.23%, respectively, in the first 3 years of the ACA. Improvements in other measures of access and utilization were also observed. AVB—study design, development and implementation of methods, data analysis, manuscript preparation. JC—study design, development and implementation of methdos, data analysis, and manuscript editing. RMM—Study design, manuscript editing. ANO—Manuscript editing. P30-AG021684 & UL1-TR000124 and 1R01MD011523-01. The Uninsured: An Interactive Tool. 2014. http://kff.org/interactive/the-uninsured-an-interactive-tool/. Accessed 14 Aug 2014.